Two bedroom semifurnished apartment near dlf it park. The apartment is on fourth floor. Covered car parking, childrens play area. Lift facility to all floors are available within the premises. 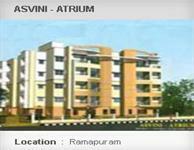 Asvini Atrium is a residential project by Asvini Foundations Pvt. Ltd. located at Ramapuram, Chennai, Tamil Nadu.This is a large residential apartment with excellent amenities like gym with steam facility, children’s play area, multipurpose play court, amphi threatre, home theatre, gazebo (terrace party area), walking track, extensive landscaping etc. Located in close proximity to l & t, dlf, olympia tech park, miot hospital and also well connected to the major parts of the city. Also in close proximity to the well known schools and colleges and to the airport. Close proximity to l & t, dlf & olympia tech park. Just a mins from miot hospital and also well connected to the major parts of the city. Also in close proximity to the well known schools and colleges and to the airport. 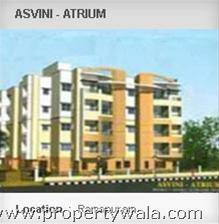 Have a good knowledge of Asvini Atrium? Share it and become a Project expert.